Frank A. Langella Jr. (/lænˈdʒɛlə/; born January 1, 1938) is an American stage and film actor. He has won four Tony Awards, two for Best Leading Actor in a Play for his performances as Richard Nixon in the play Frost/Nixon and as André in The Father and two for Best Featured Actor in a Play for his performances in Edward Albee's Seascape and Ivan Turgenev's Fortune's Fool. His notable film roles include George Prager in Diary of a Mad Housewife (1970), Count Dracula in Dracula (1979), Skeletor in Masters of the Universe (1987), Bob Alexander in Dave (1993), William S. Paley in Good Night, and Good Luck (2005) and Richard Nixon in the film production of Frost/Nixon (2008), which earned him an Academy Award nomination for Best Actor. He had a recurring role as Gabriel, the KGB handler for the lead characters, in the FX series The Americans between 2013 and 2017. Langella, an Italian American, was born January 1, 1938, in Bayonne, New Jersey, the son of Angelina and Frank A. Langella Sr., a business executive who was the president of the Bayonne Barrel and Drum Company. Langella attended Washington Elementary School and Bayonne High School in Bayonne. After the family moved to South Orange, New Jersey, he graduated from Columbia High School, in the South Orange-Maplewood School District, in 1955, and graduated from Syracuse University in 1959 with a Bachelor of Arts degree in drama. He remains a brother of the Alpha Chi Rho fraternity. Langella appeared off-Broadway (e. g. in The Immoralist at the Bouwerie Lane Theatre in 1963, and Robert Lowell's The Old Glory in 1965) before he made his first foray on a Broadway stage in New York in Federico García Lorca's Yerma at the Vivian Beaumont Theater, Lincoln Center, on December 8, 1966. He followed this role by appearing in William Gibson's A Cry of Players, playing a young, highly fictionalized William Shakespeare, opposite Anne Bancroft at the same venue in 1968, and won film fame in two 1970 films: Mel Brooks' The Twelve Chairs and Frank Perry's Diary of a Mad Housewife, being nominated for a Golden Globe Award for Most Promising Newcomer for the latter. Langella won his first Tony Award for his performance in Edward Albee's Seascape in 1975 and was nominated again for what may have been the performance for which he was best known in the early part of his career: the title role of the 1977 Broadway production of Dracula. Despite his initial misgivings about continuing to play the role, he was persuaded to star opposite Laurence Olivier in the subsequent film version directed by John Badham. He eschewed the career of a traditional film star by always making the stage the focal point of his career, appearing on Broadway in such plays as Strindberg's The Father (winning a Drama Desk Award), Match (Tony Award nomination), and Fortune's Fool, for which he won a second Tony Award. But Langella would continue to juggle film and television with his stage work, playing Sherlock Holmes in a 1981 adaptation of William Gillette's play Sherlock Holmes. He repeated the role on Broadway in 1987 in Charles Marowitz's play Sherlock's Last Case. That same year, Langella would also portray the villain Skeletor in Masters of the Universe, which he has described as one of his favorite roles. In 1988, Langella co-starred in the film And God Created Woman. In 1993, he made a three-episode appearance on Star Trek: Deep Space Nine as the devious Jaro Essa. He also appeared as Al Baker in "Dominance", a 2003 episode of Law & Order: Special Victims Unit and had a recurring role as Pino in the 2005 short-lived sitcom Kitchen Confidential. In 2000, he played the role of Ebenezer Scrooge in a musical version of A Christmas Carol at Madison Square Garden. He has also appeared in notable off-Broadway productions, including in the title role of Robert Kalfin's Chelsea Theater Center production of The Prince of Homburg, which was filmed by PBS for the Theatre in America series. He starred as Sir Thomas More in the 2008 Broadway revival of A Man for All Seasons. He was cast as Richard Nixon in Peter Morgan's play Frost/Nixon alongside Michael Sheen, which received enthusiastic reviews during a run at the Donmar Warehouse and Gielgud Theatre in London before moving to Broadway in New York's Bernard B. Jacobs Theater in April 2007, culminating in Langella's third Tony Award. He reprised the role of Nixon in the 2008 Oscar nominated Best Picture film Frost/Nixon, directed by Ron Howard. He received Golden Globe, Screen Actors Guild, and BAFTA nominations for Best Actor for his performance. He was also nominated for an Academy Award in the Best Actor category for the role, losing to Sean Penn's performance in Milk. His film work also includes roles in George Clooney's Good Night, and Good Luck (2005) as former CBS chief executive William S. Paley for which he was nominated for the Screen Actors Guild Award for Ensemble Cast. He also appeared in Bryan Singer's Superman Returns (2006) as Daily Planet editor Perry White. 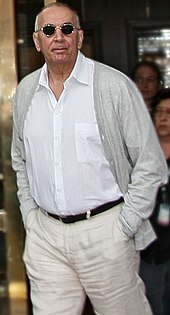 Langella received critical acclaim as well as the Boston Society of Film Critics Award in 2007 for his sensitive portrayal of an elderly novelist in Starting Out in the Evening.In late 2009, he starred in the Richard Kelly film The Box alongside Cameron Diaz and James Marsden. In 2011, Langella starred in the drama thriller Unknown alongside Liam Neeson and Diane Kruger. In 2012, he earned critical praise for his role in the independent film Robot & Frank with Peter Travers of Rolling Stone magazine calling his performance "a masterclass in acting". He also appeared in Captain Fantastic alongside Viggo Mortensen and was again nominated with the ensemble cast for the Screen Actors Guild Award. In October and November 2013, Langella played King Lear at the Minerva, Chichester Festival Theatre in Chichester, UK. It travelled to the Harvey Theater at the Brooklyn Academy of Music in New York in 2014. In 2015, Langella joined the cast of FX's critically praised drama The Americans with Keri Russell, and Matthew Rhys. He would continue to appear in seasons 3 through 5. In 2016, he played the title role in Doug Hughes' production of the US premiere of Florian Zeller's play The Father at the Samuel J. Friedman Theatre on Broadway. He would win his career fourth Tony Award for his performance. Langella was married to Ruth Weil from June 14, 1977 to their divorce in 1996. They have two children. He also then lived with actress/comedian Whoopi Goldberg, whom he had met on the set of Eddie. From 1996 they were together but they separated in March 2001. Langella published a memoir in 2012 called Dropped Names: Famous Men and Women As I Knew Them. In a review in the New York Times Book Review, Ada Calhoun wrote that "Langella's book celebrated sluttiness as a worthy—even noble—way of life. There was so much happy sexuality in this book that reading it was like being flirted with for a whole party by the hottest person in the room. It was no wonder Langella was invited everywhere." 1965 The Trials of O'Brien Michael Romani Episode: "How Do You Get to Carnegie Hall?" 1967 NBC Experiment in Television The Young Man Episode: "Good Day"
NET Playhouse Episode: "Benito Cereno"
1973 Marcus Welby, M.D. Carey Robins Episode: "Friends in High Places"
Love Story Jimmy Lewin Episode: "When the Girls Came Out to Play"
1988 CBS Summer Playhouse Dr. Paradise Episode: "Dr. Paradise"
2003 Law & Order: Special Victims Unit Al Baker Episode: "Dominance"
^ "Theater Talk: Frank Langella in "The Father"". CUNY TV. May 2, 2016. Retrieved October 17, 2018. ^ Rudd, Andy (January 21, 2009). "Oscar nominations: Frank Langhella – Top 10 facts you need to know about the Academy Award-nominated Frost/Nixon actor". Daily Mirror. Retrieved 2010-03-27. ^ McGrath, Charles (January 4, 2009). "So Nixonian That His Nose Seems to Evolve". The New York Times. Retrieved 2010-03-27. ^ Roberts, Sheila (2007-11-22). "Frank Langella Interview, Starting out in the Evening". MoviesOnline. Retrieved 2007-12-04. ^ Peter Marks (1996-02-11). "Frank Langella Stamps The Father as His Own". The New York Times. Retrieved 2008-04-10. ^ "Frank Langella Biography". filmreference. 2008. Retrieved 2008-04-10. ^ Coutros, Evonne E. "Playing a Wicked Streak for All It's Worth", The Record. January 23, 1994. ^ Venutolo, Anthony. "From heroes to villains, Frank Langella finds the heart in them all", The Star-Ledger, November 29, 2008. Accessed June 14, 2011. "The family moved to South Orange, where Langella graduated from Columbia High School before heading off to Syracuse to study drama." ^ "The Immoralist - Lortel Archives". www.lortel.org. ^ Marshall, Rick. "Frank Langella calls Skeletor "one of my very favorite parts"". IFC (U.S. TV network). Retrieved 2015-06-07. ^ "Frank Langella Biography (1940?–)". Filmreference.com. Retrieved 2010-03-27. ^ Napoleon, Davi (1991). Chelsea on the Edge: The Adventures of an American Theater. Iowa State University Press. ISBN 0-8138-1713-7. ^ Cox, Gordon. Frank Langella to be 'Man' on B'way, Variety, 21 May 2008. ^ "Frank Langella Scores Starring Role in 'Unknown White Male' - Bloody Disgusting!". 8 December 2009. ^ Calhoun, Ada (April 22, 2012). "Cheerful Debauchery". New York Times Book Review. Retrieved April 27, 2012. "Frank Langella collected news and commentary". The New York Times. Hurlyburly is a dark comedy play by David Rabe, first staged in 1984. The title refers to dialogue from Shakespeare's Macbeth. Dracula is a 1979 British-American horror film directed by John Badham. The film starred Frank Langella in the title role as well as Laurence Olivier, Donald Pleasence and Kate Nelligan. Tony Lo Bianco is an American film, stage, and television actor, best known for his portrayals of gruff law enforcement figures in crime films. 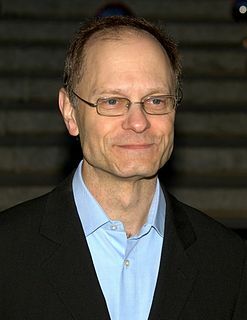 His accolades include one Tony Award nomination, an Obie Award, and a Daytime Emmy. Michael Sheen, OBE, is a Welsh stage and screen actor. After training at the Royal Academy of Dramatic Art, Sheen made his professional debut in 1991, starring opposite Vanessa Redgrave in When She Danced at the Globe Theatre. 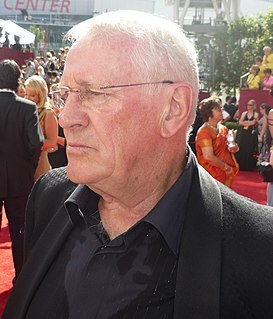 He worked mainly in theatre throughout the 1990s and made notable stage appearances in Romeo and Juliet (1992), Don't Fool With Love (1993), Peer Gynt (1994), The Seagull (1995), The Homecoming (1997) and Henry V (1997). His performances in Amadeus at the Old Vic and Look Back in Anger at the National Theatre were nominated for Olivier Awards in 1998 and 1999, respectively. Le Père is a play by the French playwright Florian Zeller which won in 2014 the Molière Award for Best Play. It premiered in September 2012 at the Théâtre Hébertot, Paris, with Robert Hirsch (André) and Isabelle Gélinas (Anne).